This Veggie Collection project started in 2001, the year Harry Maidment was president of the Rotary Club of Drury, District 9920. Fourteen years later it is still going strong. This project is a wonderful example of partnerships: working with the community, another charity group and the members of the Rotary Club of Drury. 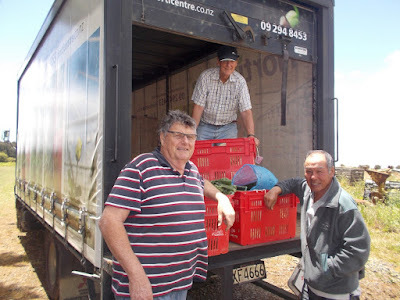 There are now Fifty (50) Veggie Growers in the Pukekohe area who contribute to this collection. These people work very hard to produce their products and every year they are keen to be part of this worthwhile Christmas Project. 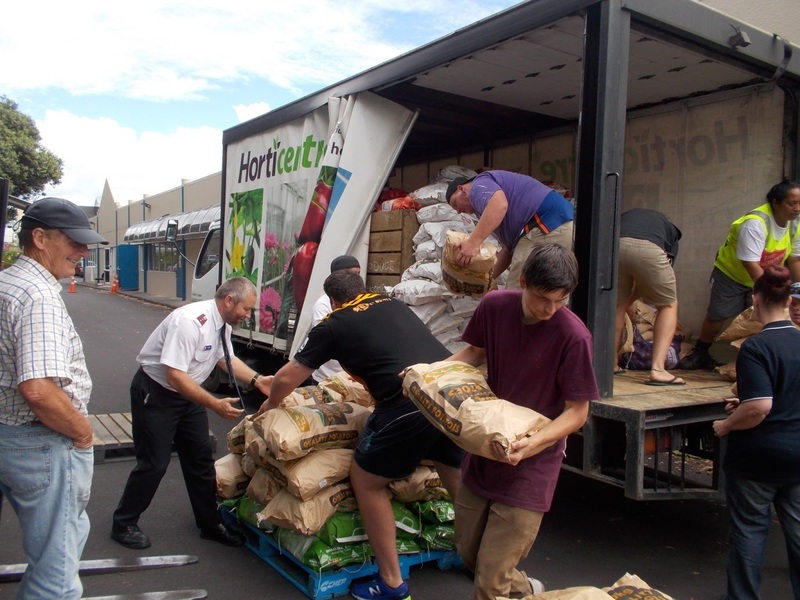 The initial contact with the Growers is made in writing with a letter from both Thge Rotary Club of Drury and the Salvation Army endorsing the project. The Rotary Club follows up with phone calls to confirm the pickup date. When this is all done a team of three x three made up of a driver and two workers head out in ten tonne trucks to pick up the produce.